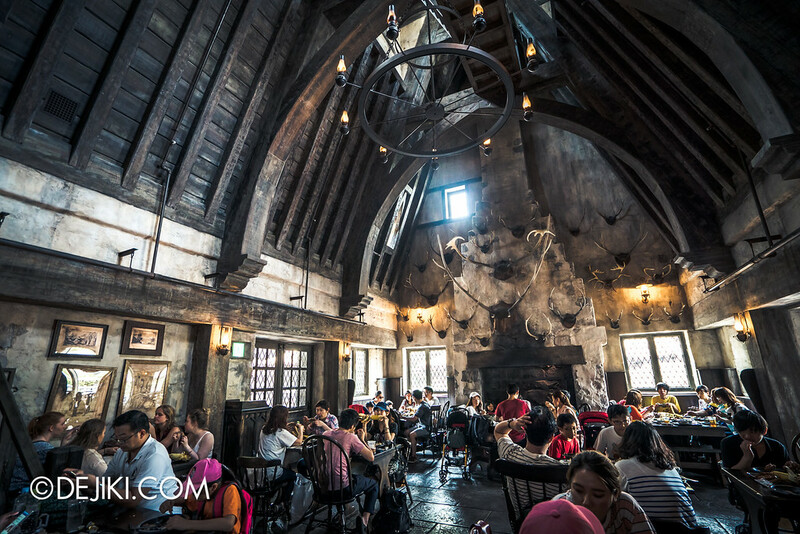 Grab a hearty meal at the Three Broomsticks tavern and Hog’s Head bar in Universal Studios Japan’s Wizarding World of Harry Potter! 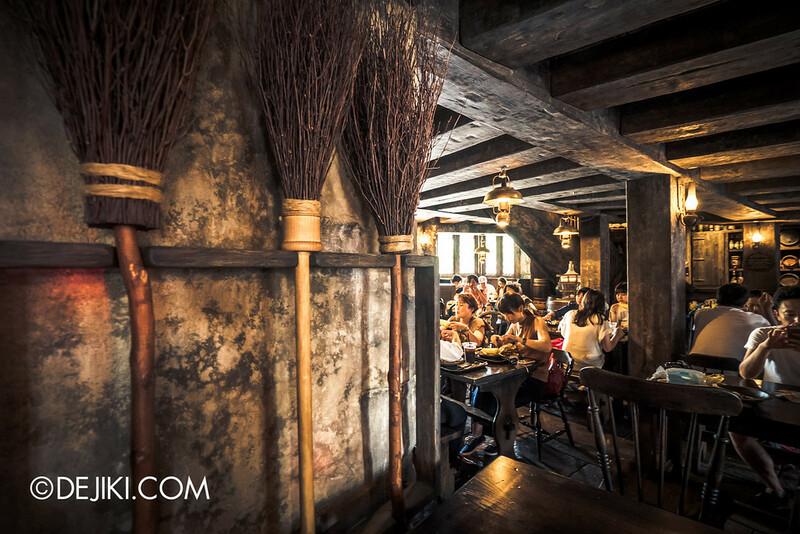 Three Broomsticks is an inn and tavern in J.K. Rowling’s Wizarding World. 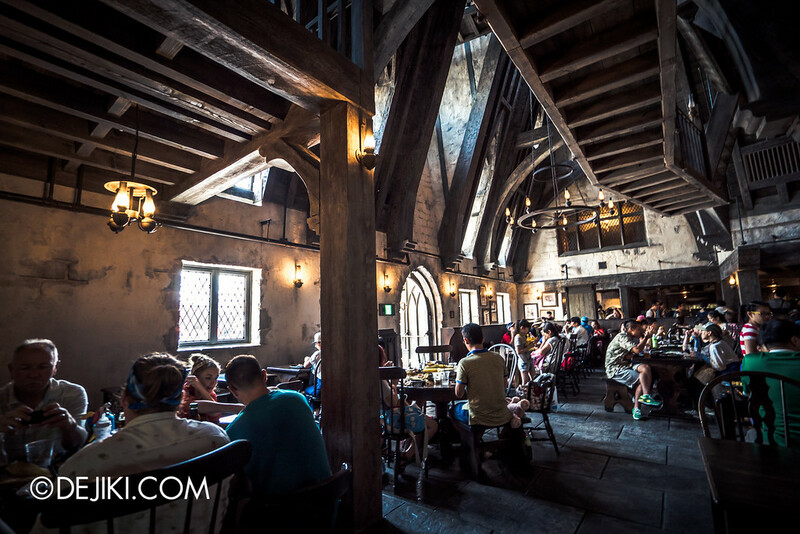 A popular spot for Hogwarts students to hang out with good food and Butterbeer, it was also (for a period of time) used for Dumbledore’s Army meetings. 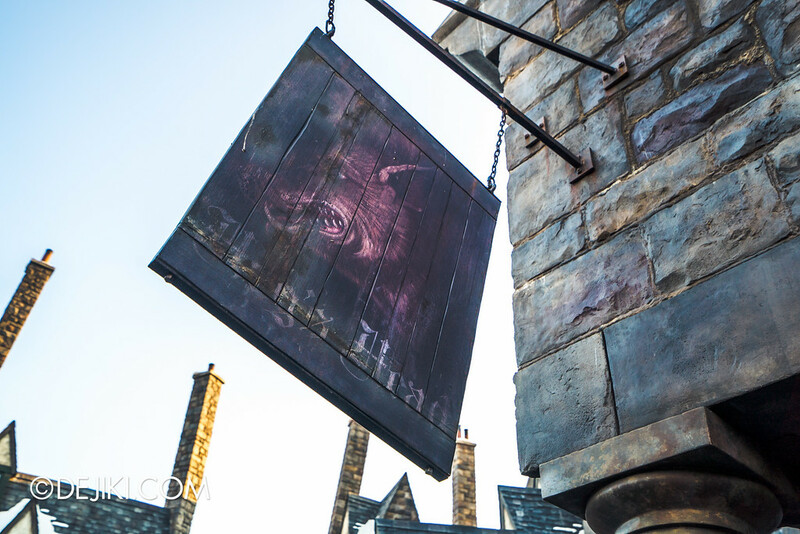 Over in the real world, Three Broomsticks is a re-creation based on the Harry Potter films. It’s rustic, crowded, and the second level looks haphazardly added. 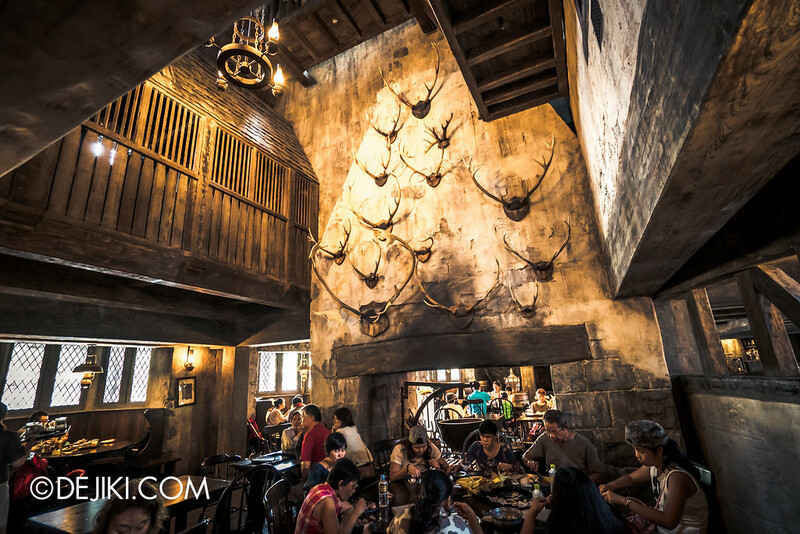 The Hog’s Head pub is seamlessly connected to the restaurant, offering alcoholic beverages. The food here is rather pricey, but the good news is the servings are quite large. 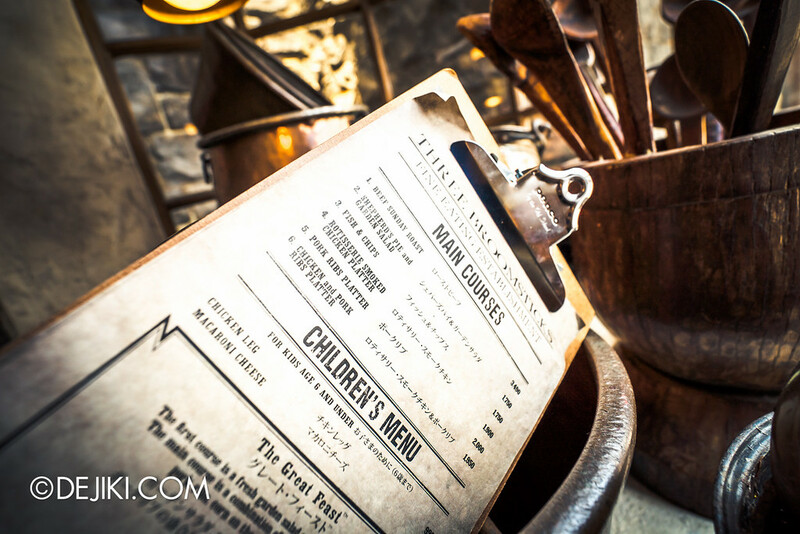 This is a quick service restaurant – you just grab and go (to the nearest table). 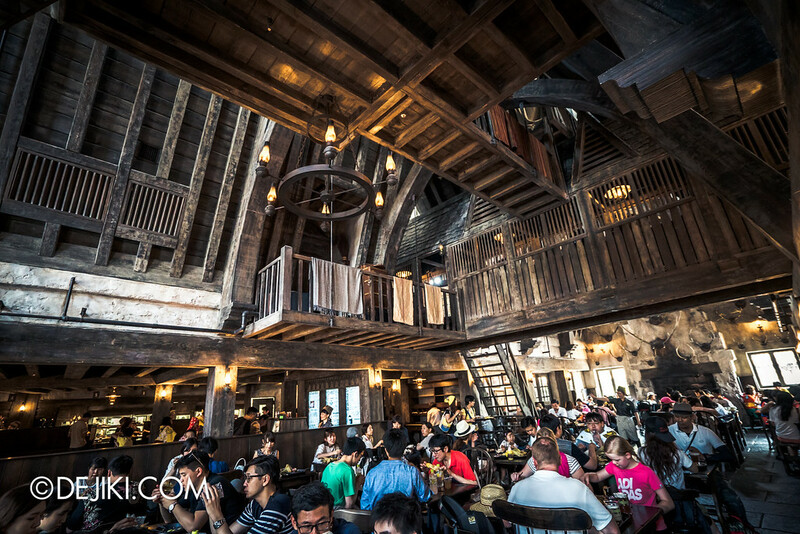 As the only restaurant in Japan’s Wizarding World, expect Three Broomsticks to be full during lunch and dinner. 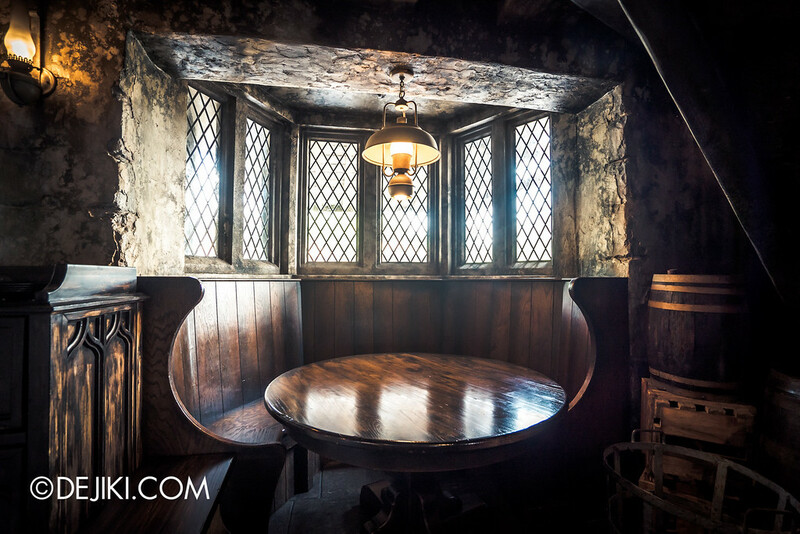 The good thing is, the staff here will help direct guests to the nearest available seat, and they frown upon groups breaking up to reserve tables. So just queue up and get your food first. 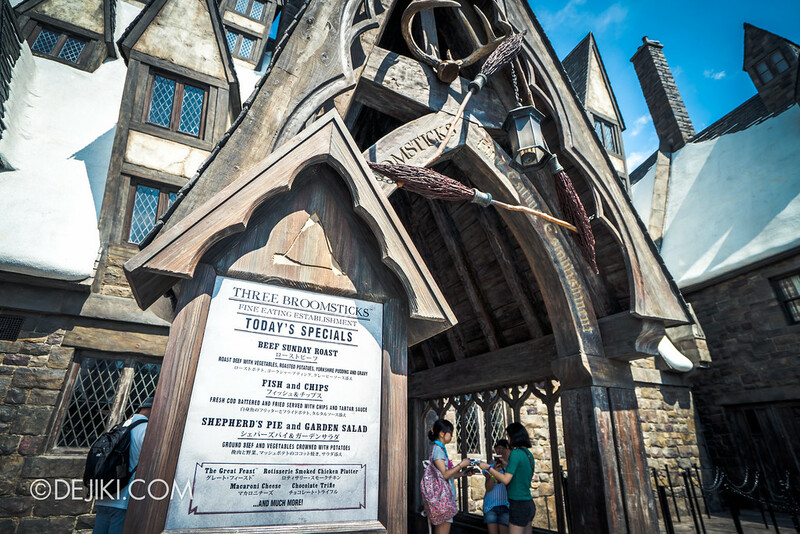 Cold Butterbeer is served in three types of mug here – disposable (600 yen, ~$6.70), plastic souvenir cup (1100 yen, ~$13.50), and premium stein (3980 yen, ~S$49). 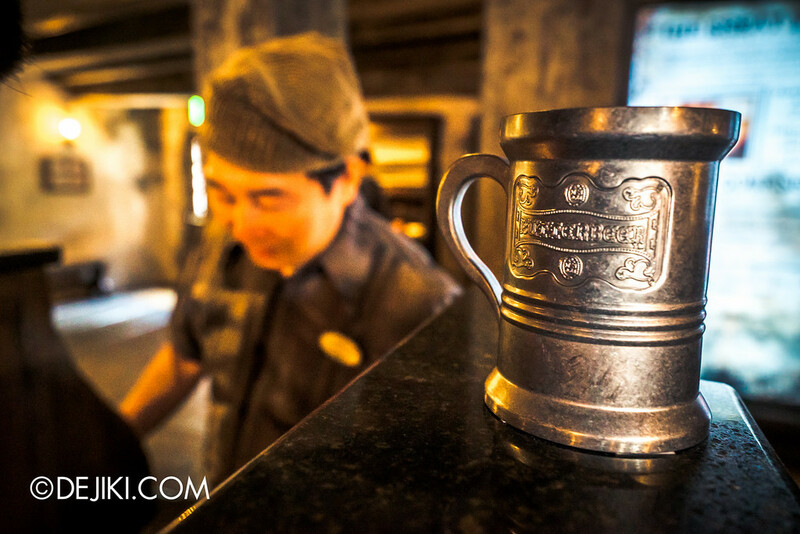 You can opt for Frozen Butterbeer by topping up 150 yen for the plastic cup/mug. 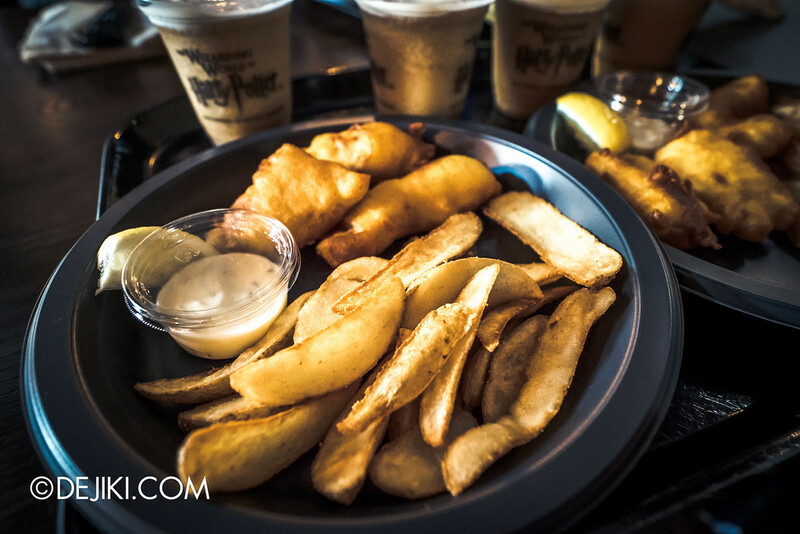 The food here is decent enough for theme park, I guess. 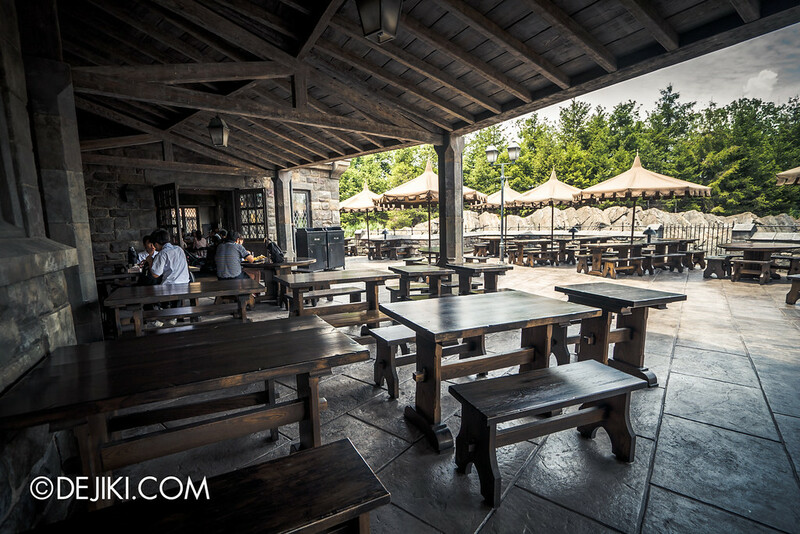 This is after all a quick service restaurant, and we all know that the real star is the themed environment. 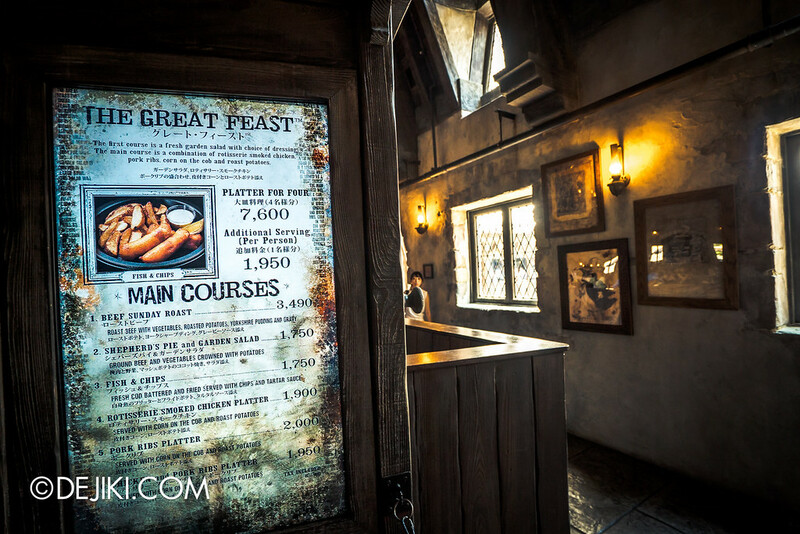 Apart from the digital screens at the beginning, the restaurant feels “authentically” part of the magical world. 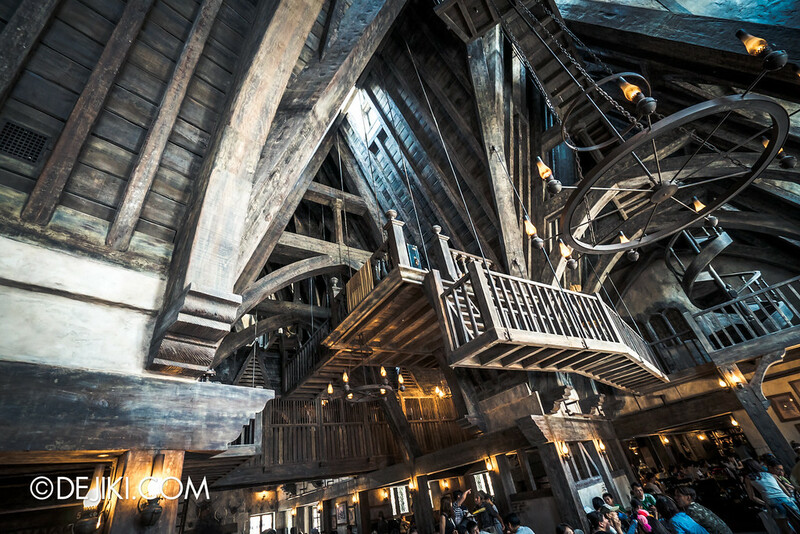 All the marvels of modern muggle technology are magically hidden. Too bad the second level isn’t “real”, but you’ll hear lots of noise coming from upstairs. You may be able to see some characters too. 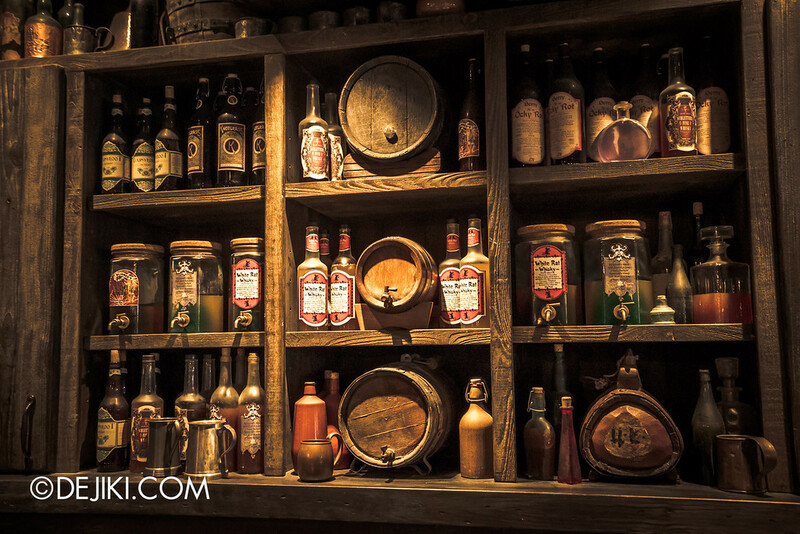 Hog’s Head is just next door, and you can get alcoholic drinks here. 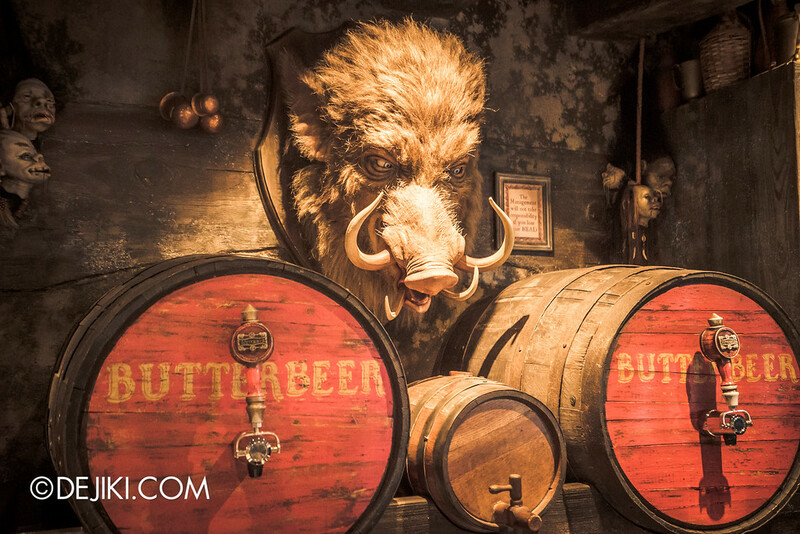 The Hog also comes alive… from time to time. 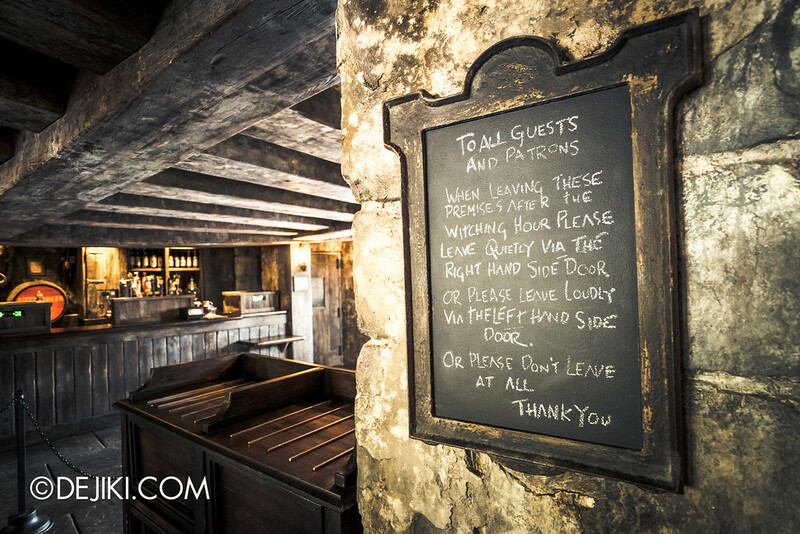 If you’re here during off-peak periods, you might be able to score a booth at Hog’s Head. Perfect for quiet contemplation on ancient runes, or plotting some secret uprising with students. 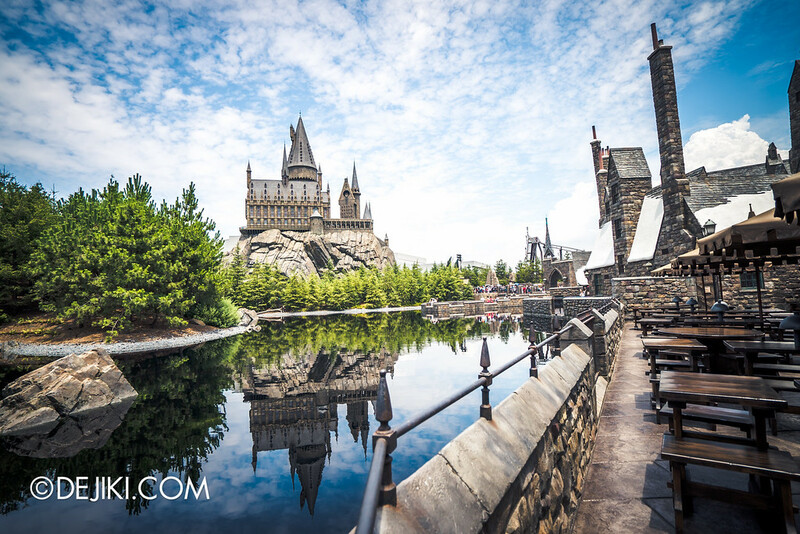 Otherwise, heading outside during the cooler seasons might be a good idea, because you’ll enjoy this beautiful vista of the Lake and Hogwarts Castle. 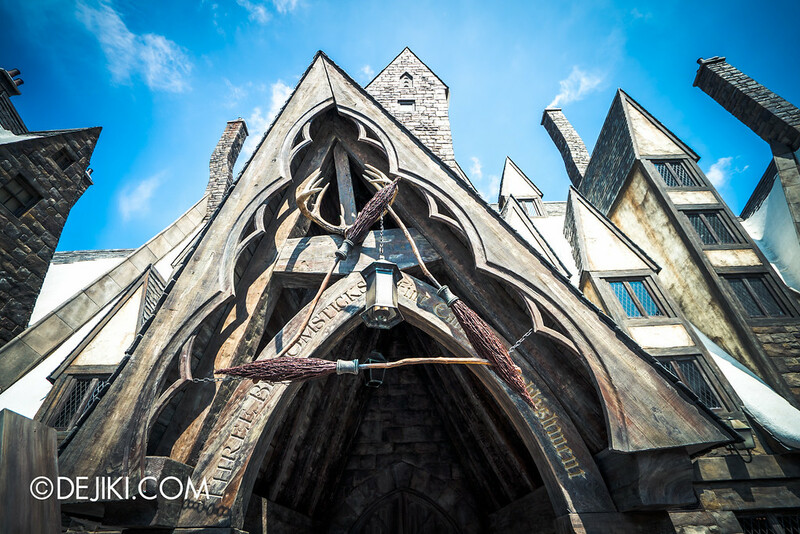 We’ll go shopping in the next part of the Wizarding World Photo Tour! I like how you blocked the show building on the last shot.